Natalie Schreyer @ Mother Jones: The Trump Files: Donald’s Words to a Grieving Mother. Alan Colmes: Reverend: Trump assault accusers only trying to end campaign. 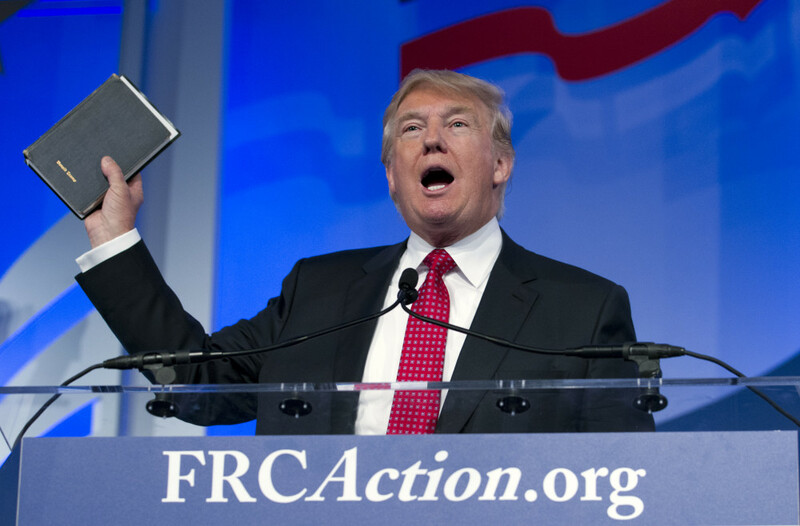 Dara Lind @ Vox: Trump’s popularity with evangelicals is a disaster for the religious right. J.M. Berger @ Politico: How White Nationalists Learned To Love Donald Trump. Michael Barbaro @ The New York Times: What Drives Donald Trump? Fear of Losing Status, Tapes Show. Media Matters: Fox & Friends Hosts Discredited Author Ed Klein To Discuss Hillary Clinton Possibly Being On Drugs. Alex Griswold @ Mediaite: Breitbart Colluded With Liberal Activist to ‘Sabotage’ Trump’s GOP Primary Opponents.